An essential part of fire safety is exit strategy: making it as easy as possible for people to get out of harm’s way. Fortunately, plans can be made and tools can be implemented to support exit strategies well in advance of any potential incident. In keeping with their mission of workplace safety, the Occupational Safety and Health Administration (OSHA) developed standards for Means of Egress. However, these are more than just requirements from the U.S. Department of Labor — they provide excellent guidelines for exit strategies in all spaces. Keeping exit routes free and clear allows for people to escape in case of fire — it’s the purpose behind establishing an exit route. Explosive or flammable furnishings and decorations, high hazard areas, materials, equipment, and locked doors all defeat the point of establishing a safe passage out of a building; they make it fundamentally unsafe. In your workplace, be aware of exit routes; it’s important not only to be familiar with where they are, but with how they’re maintained. There’s never a good reason to leave these spaces blocked, even temporarily, with furniture, equipment or clutter. Additionally, OSHA mandates that safeguards must be in proper working order at all times. Be aware of your sprinklers, alarm systems, fire doors and exit lighting. Keep fire doors closed, and be sure to keep system maintenance up to date. A person with normal vision must be able to see along an exit route — adequate lighting is a must. Exit doors must also be clearly visible, and marked appropriately. Legibility and brightness cannot be compromised. 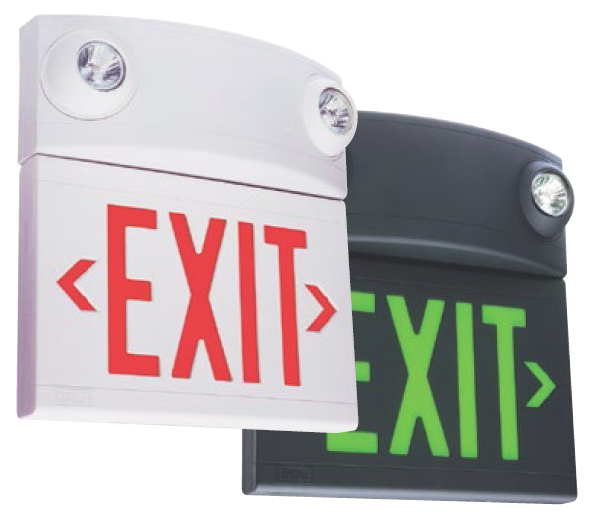 The Fox Valley Team recommends LED exit signs — their bright, even illumination surpasses brightness restrictions from OSHA and maintains its light uniformly. They dramatically increase visibility for the safety of your route. Maintaining a line-of-sight to your exit signs along the route is important, too, no matter how bright they may be. And remember that doors that could be exits (but aren’t!) should be marked accordingly with their actual use — even those familiar with the space could get disoriented in an emergency. The fire retardant properties of paints and solutions must be maintained. Exit routes must be maintained during construction, repairs or alterations. An employee alarm system must be operable. As you work to keep your workplace safe, the team at Fox Valley is ready to help. For help with your exit routes from signage to safety tools to system maintenance and service, visit the Fox Valley Fire and Safety website.